Boundless Theatre Company is tirelessly dedicated to creating extraordinary art, but we can’t do it alone. 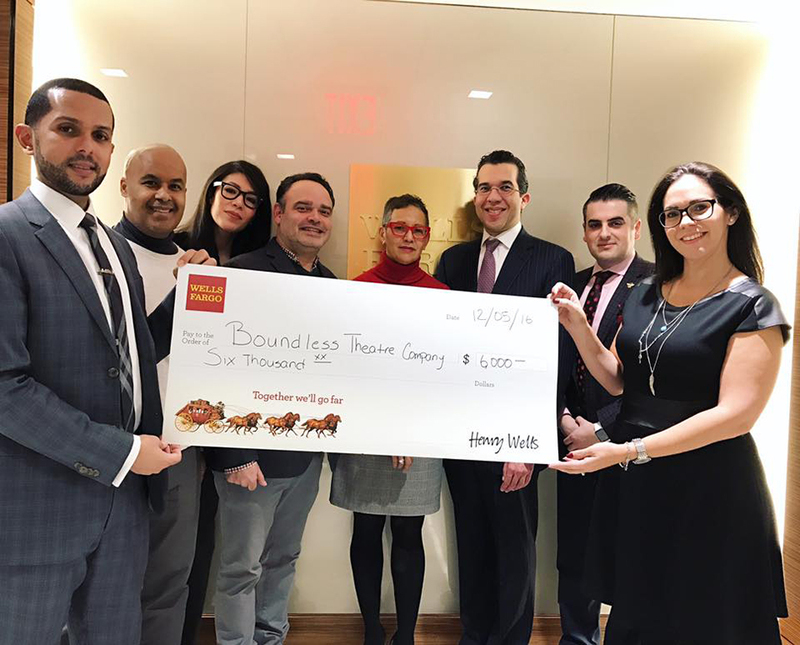 Our supporters play a crucial role in supporting our production of the most vital and exciting theatrical work in New York City and Puerto Rico. As a donor, your generosity would help Boundless continue to create bold, inquisitive and socially relevant professional theatre. Boundless Theatre Company is a 501(c)(3) not for profit organization. Your gifts are generally tax-deductible, and Boundless Theatre Company acknowledges all donations with a receipt for your tax records.